Since first entering a recording studio some 15 years ago, singer/guitarist Erja Lyytinen has become a bona fide star in her homeland and a fixture on the international music scene. In that time, "the Finnish slide goddess" (The Blues Magazine) has recorded in places as diverse as Helsinki, London and Memphis, earning numerous accolades along the way. Rooted in both traditional and modern blues, she successfully blends styles like jazz, pop, soul and rock into a sound all her own. 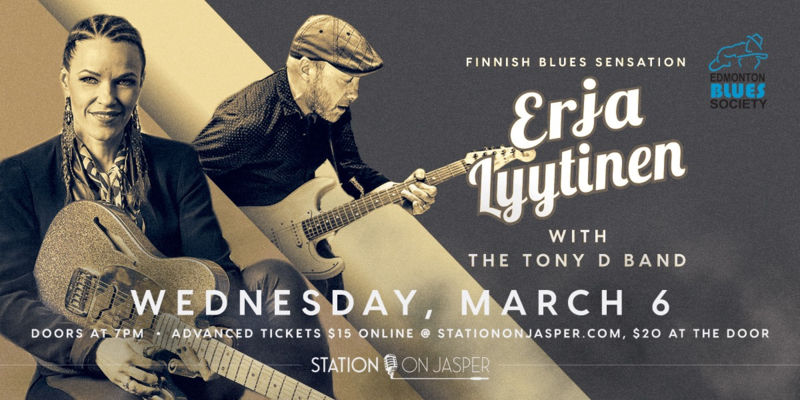 Celebrated slide guitar master Sonny Landreth, upon discovering Lyytinen's music recently, remarked: "I sure enjoyed her guitar skills. She’s obviously made a big name for herself. Things are going well for her and for good reason."